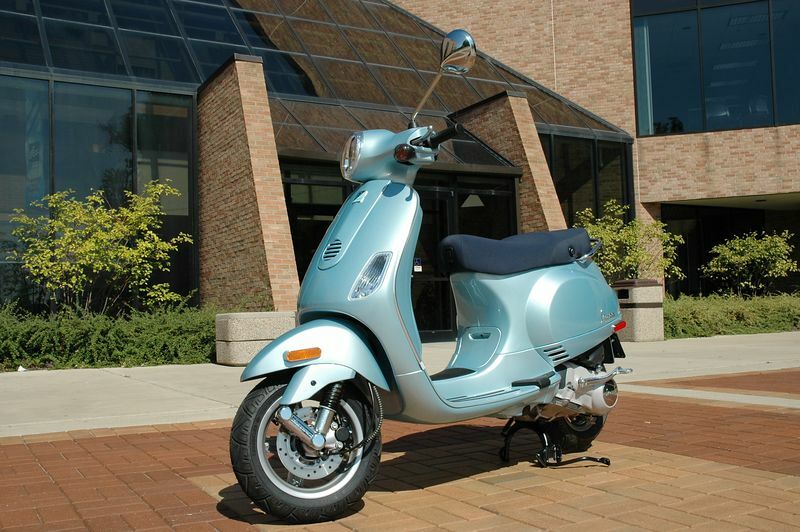 My 2006 Vespa LX 150 in Aurora Blue. Purchased September 10, 2005 from Vespa Cleveland. Lovely pics! I would say Vespa LX stands out as the unique model amongst all. It is having creative concepts, fantastically engineered and original designs. i bought 1 and i wonder y when i started i heard the metallic sound (CLANG) inside the engine, someone could tell me that's the characteristic of Piaggio or wat?!!!! anyway LX150 so much beta then another scooter i had b4 like Honda @, SH150i....etc. I'm considering one, ride a met now. Picture it with the optional RED leather seat! Sweet!